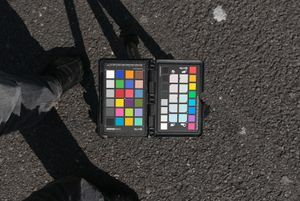 If using the X-Rite ColorChecker Passport, it's enough if you shoot just the 24-patch part, but we prefer shots of the whole target. 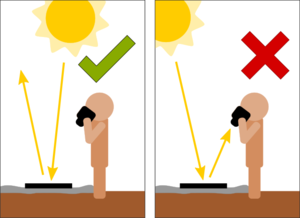 Daylight, known as Standard Illuminant D. Midday light on a sunny day is known as D50, and on an overcast/lightly cloudy day as D65. Either is fine.